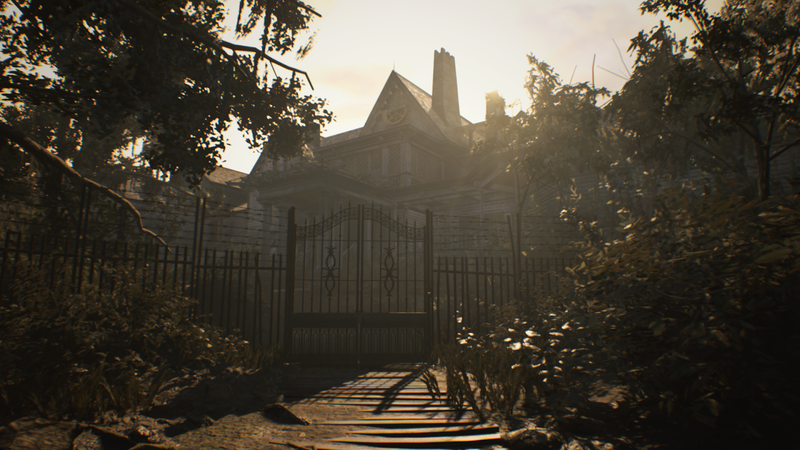 This article includes some light spoilers for Resident Evil 7. When Ethan Winters travels to the swampy innards of Dulvey, Louisiana to locate his missing wife, he finds himself held against his will inside an old ranch inhabited by the homicidal Baker family. Appearing as a run-down mansion on the surface, Ethan journeys further into the house to discover there is more to this Southern Gothic-style plantation than meets the eye. I love Resident Evil 7's setting. As a large property with many buildings – each with their own twisted characteristics – I think it might be one of my favourite horror locations ever. Over the course of the game, we explore these grounds, unearth its secrets and use whatever tools it provides to survive against the nightmares it possesses. We solve puzzles to uncover hidden passages that further emphasise the quiet emptiness of the place. Part of how the Baker ranch maintains its creepy appearance is a result of the RE Engine, a framework initially built for Resident Evil 7's graphics, but was also used for Capcom's newer games such as Devil May Cry 5 and the Resident Evil 2 remake. It was designed to accommodate photo-realistic visuals, minimal loading screens and beautiful lighting effects; all of which play heavily in bringing the setting to life. This is probably one of the best-looking virtual environments I've ever seen. As well as shifting the focus of the series back onto its survival horror roots, a major change in Resident Evil 7 comes in its decision to utilise the first-person perspective. In the past, Resident Evil games have enabled you to see your character and view your surroundings through a wide angle. You're watching these terrible things happen to the protagonist without being in the situation yourself. The switch to first-person means everything feels a lot more personal as you are put into the shoes of Ethan, with him acting as more of a vessel for your involvement. 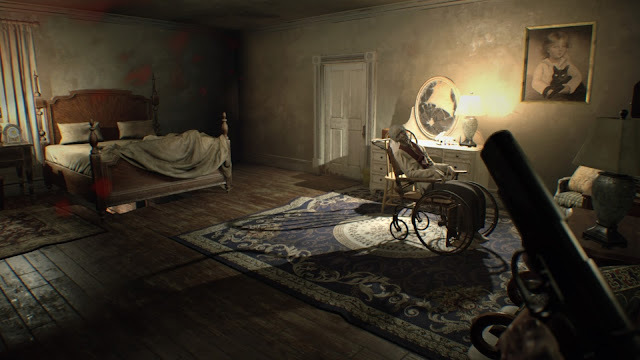 Not only does the horror become more intimate and 'in-your-face', but it also allows you to appreciate more details about the house. This is strengthened by how well the design team filled the Baker property with many props and details that create the illusion of it being a lived-in world. This can be anything from the arrangement of furniture to the placement of puzzles. It can be tricky for designers to find ways of crafting a believable environment while also making it a fun space to play in, but many places in the ranch were memorable because of these details. I was never once in the mindset of "I need to go through this square room, past the rectangular corridor to get to the circular chamber" but: "Once I'm done in the room with all the corpses, I'll use the broken staircase as a shortcut to get to the room with the destroyed furniture and find the item I need." Simply put, environmental storytelling helped to make these areas feel grounded while also helping us to familiarise ourselves with the layout. It helps that I memorised the layouts of the house, because in line with earlier games, there's a lot of backtracking involved. 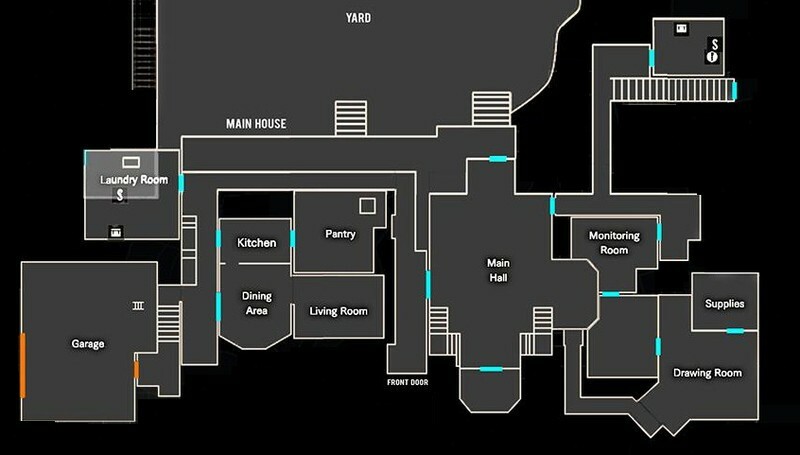 We return to the main building multiple times throughout the story, each time holding clues and key items that help us to progress further. As it went on, my familiarity with the house set in a feeling of security. Every time an enemy appeared, I felt safer knowing where the nearest exits were. Of course, the game also did an excellent job of pulling me away from that mentality by repeatedly changing the environment to introduce new hazards for me to avoid. Strategies that were a good idea in the past may not have necessarily worked out again in the future. This familiarity is a form of empowerment for players, because knowing these areas can ultimately aid in how you plan your next move. This is why Resident Evil 7's dynamic Baker family encounters takes that away from us. These are moments when a member of the family is searching for Ethan, patrolling the hallways and rooms with deadly intent. They'll give chase if they spot you, which is why it's beneficial to use the winding corridors and tight spaces to outwit them. Most importantly, you cannot kill these characters during these moments, causing them to be awfully dangerous when you're cornered. There is little you can do to stop or distract them – unlike Alien: Isolation's Xenomorph for instance – meaning every choice you make when sneaking around these people could mean the difference between life and death. It's because of this familiarity that Resident Evil 7 loses some of its flow when we escape from the ranch in the final quarter of the game. Following this, we visit a few more places, but there's never again that same sense of place that the Baker ranch had. There's a sense of displacement, which creates a very new kind of horror as we are once again thrown into uncharted waters and have to re-learn the layouts of the map. This isn't a bad thing, as it calls back to the start of the game when we first started the game, but the downside is that each of these areas aren't as personalised as the Baker house. We don't really spend enough time there before moving on to the next area, causing an uneven pace as the story stumbles towards its conclusion. 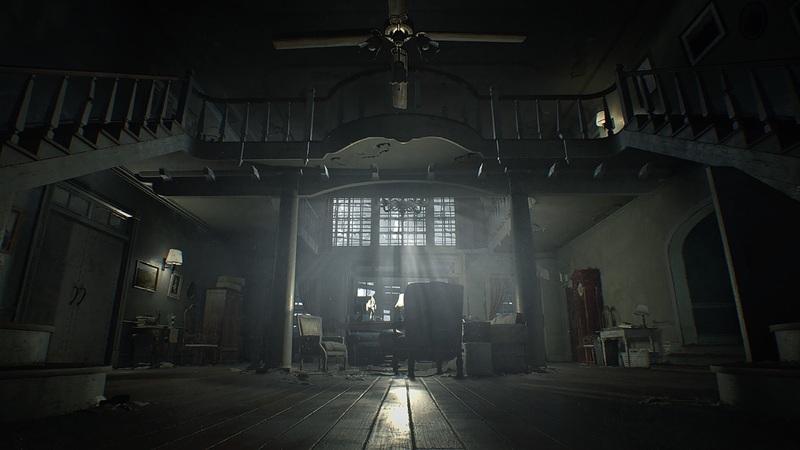 The Baker ranch is just as much a character of Resident Evil 7 as its occupants are. For the ten or so hours you'll spend playing the story of Ethan, it's important to recognise how much we learn about the family from exploring their property, and also how it affects the way we approach the game. By distancing itself from the ridiculous mess that was Resident Evil 6, Capcom created something extraordinary. As a horror title, it may be one of the finest ones of this generation, and I believe the world design played a large role in that.